"The chiroAcademy 8 Step Marketing System"
This course is designed to teach you how to "fish." Most of the marketing tele-classes I have taught in the past have featured a specific marketing strategy like, Wellness Screenings or the Internal Referrals Program. This course includes the specific step by step SYSTEM for marketing the chiropractic practice. This course is essential for any long term marketing results. 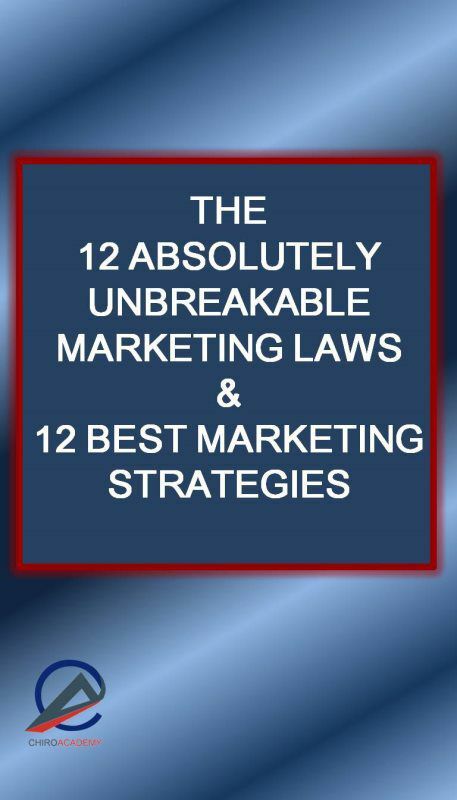 Plus, Dr. Gandolfi will be including a copy of his Marketing Workbook with this course. The Marketing Workbook is a priceless tool that you will use for years to come. Also included will be Dr. Gandolif's notes on how to Brand and Position the chiropractic practice in your community. Best of all, you will receive the Marketing System course, Marketing Workbook and the Branding notes. You will learn the 8 steps to successful marketing: There is a science to chiropractic marketing and if you follow these steps you succeed every time. 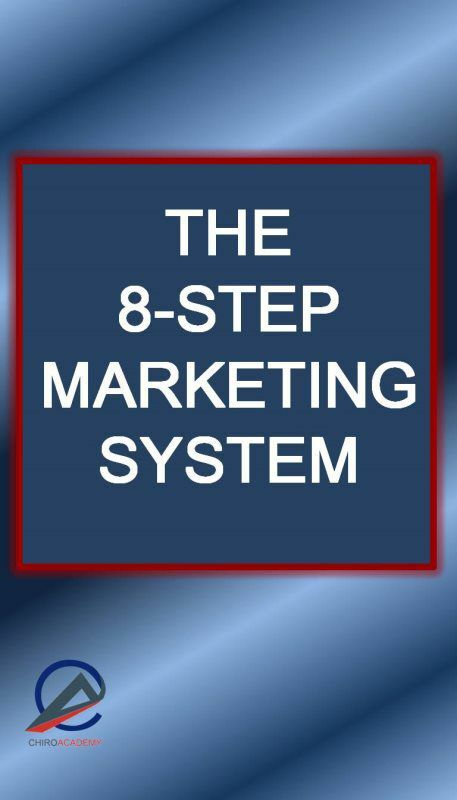 Dr. Gandolfi will bring you step by step to the 8 step marketing system and how to use the Marketing Workbook so you can repeat this process for years to come. This system works for any and all types of chiropractic practices. If you follow the system you can create a practice as large as you want. This is a digital audio download and includes the marketing workbook and branding notes. Dr. Gandolfi's unique approach brings life to the 12 Days of Christmas. This is the flat out best internal marketing strategy of the year. Expect anywhere from 20-130 new patients! Dr. Nate set the record by attracting 137 new patients, Dr. Elliot attracted 94 new patients with this program. If you want December to be your busiest month of the year, this is the program! One of the best marketing tools I know that works in December! 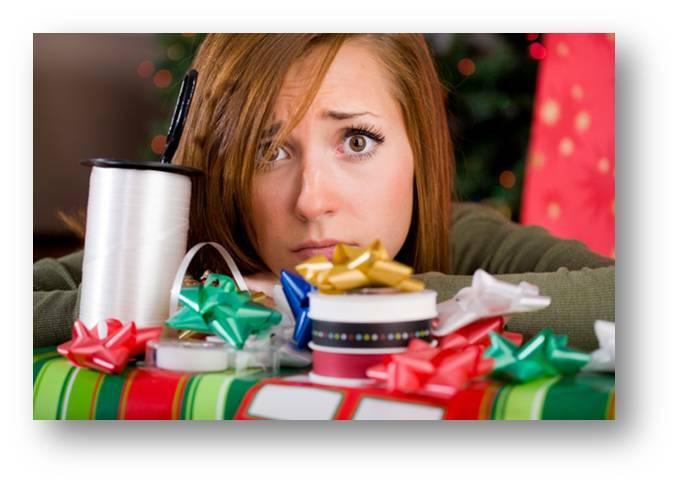 Are you cutting back on your marketing during the holiday season?That may be your biggest mistake! 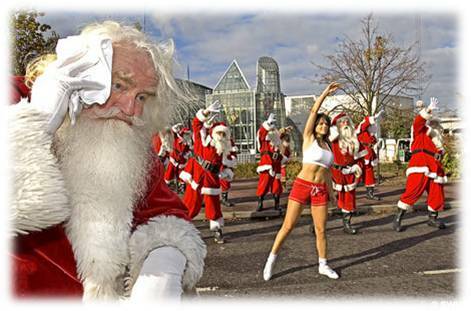 Many practices have their numbers drop like a rock during the holiday season. However, not Dr. Gandolfi's coaching clients, most have their biggest new patient months of the year in December. 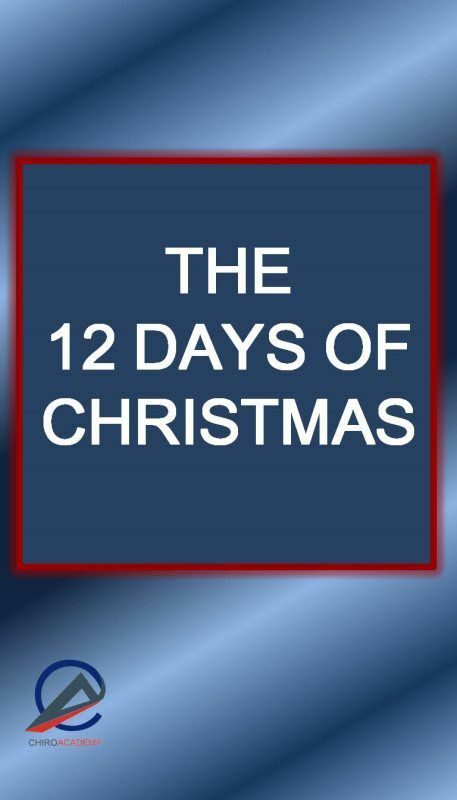 Finish the year on an up trend with The 12 Days of Christmas. A favorite event of the year. Consistently get amazing results during December with this event. Expect 20-60 new patients with a well planned event. If you don't celebrate Christmas, you can turn it into a Holiday Event. How to get off the new patient roller coaster, Once-And-For-All! How would you like to effortlessly transform your practice. It’s easy if you have the right information. Begin your road to success! This information can be your pot of gold for a fraction of what just one extra new patient will bring you. How to know when to change your strategies, how frequent to run programs, and what works best. Do you have a system for your marketing? Do you experience the new patient rollercoaster? 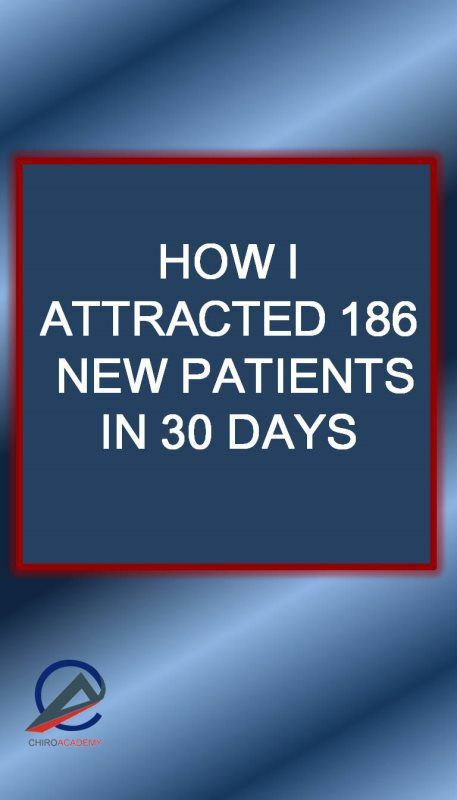 Are you having a difficult time attracting new patients? Most offices market when the numbers are down. This is a huge mistake which puts your practice at risk for possible complete collapse. I have doctors calling me on a daily basis with their practice hanging by a thread. Please don’t put yourself in that position! This is an easy system to learn, an easy system to implement, and an easy system to get results. Master the entire marketing system—you really do owe it to yourself and your practice to have this information! Dr. Gandolfi teaches his marketing system. How he pulled off this amazing feat and how you can do it too. Dr. Gandolfi's having a "COW"
One of my absolute favorite marketing tools is the Chiropractic Opportunity Week! COW is one of the six major practice events of the year. The strategy is fun and is easy to do. Your patients will love this event! This is perfect for the subluxation based doctor looking to attract wellness minded patients! Are you cutting back on your marketing during this difficult economic times? Don't make that mistake. Offices are finding that by increasing their marketing energy they are attracting more new patients then ever before. You don't have to spend an arm and a leg to attract new patients. All you need is a high energy event to communicate your message. Just ask Dr. John M. and Dr. Stephanie M. who have experienced their best ever new patient months by implementing well thought out events. 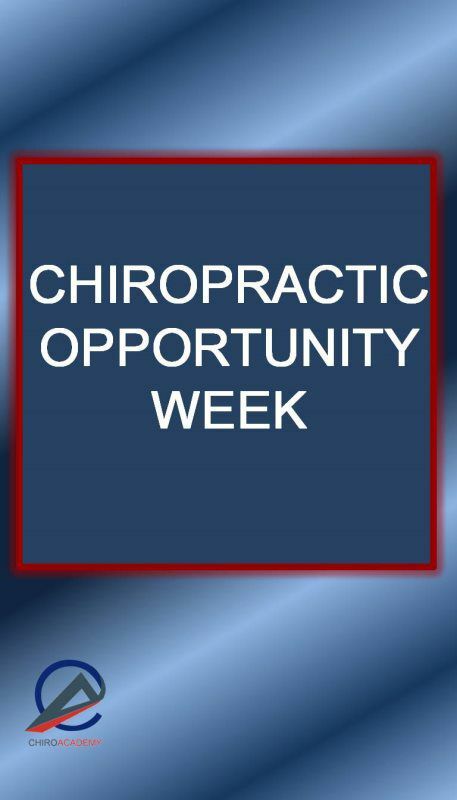 The internal event of the year - Chiropractic Opportunity Week! Make your summer rock. Join chiropractors from around the world on this unique course. The Chiropractic Opportunity Week tele-course will teach you the step-by-step process of how to do a great low cost, high energy new patient event. Create “remarkable experiences” for your patients! This course is revolutionary as an approach to attracting new patients. Dr. Gandolfi teaches you how to execute 6 internal events that will create “remarkable experiences” for your patients. The 6 events are designed to attract at least 20 new patients each, producing an extra 120 new patients for the year. 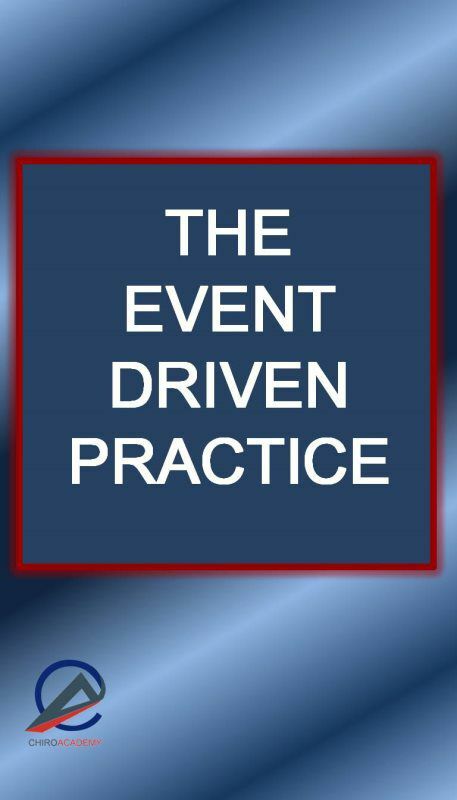 This is a step-by-step, easy to follow training that will provide you with the details to pull off incredible events each year. He also reveals the secret that links purpose to inspired patients. This is the missing link for most doctors. The result? Fun, inspired, and purpose-driven events in your practice that attract ideal new patients! The chiroAcademy Family Week is one of Dr.Gandolfi's key internal marketing events of the year. Offices typically average 20-40 new patients from this event. Come join the tele-class as we teach you how to build a great subluxation based wellness practice with this unique event. One of my absolute favorite marketing tools is the Family Week program! The strategy is fun and is easy to do. Dr. Gandolfi will teach specific strategies that will compel every practice to want to bring in their entire family! Your patients will love this event! This is perfect for the subluxation based doctor looking to attract wellness minded patients! Are you looking for cost effective marketing strategies during this difficult economic times? You don't have to cut or stop marketing just because money is tight. Many offices have discovered that by using cost effective internal marketing programs can attract more new patients then ever before. You don't have to spend an arm and a leg to attract new patients. All you need is a high energy event to communicate your message. 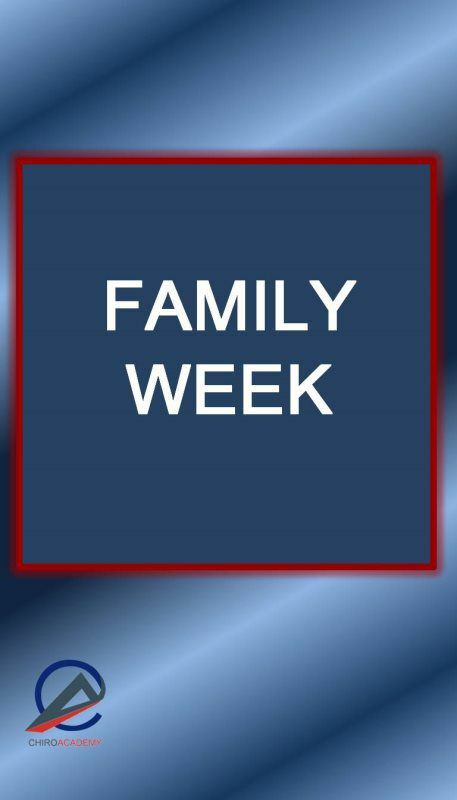 The next event of the year - Family Week! Make 2009 your best year ever. Please join chiropractors from around the world on this unique course. The Family Week tele-course will teach you the step-by-step process of how to do a great low cost, high energy new patient event. Would you like December to be your busiest month of the year? Would you like to end the year with a growth spurt? Don't let the holiday distractions pull your practice down! Learn exactly how to market during the holiday season to get the most out of your practice. Critical staffing aspects on how to overcome the distractions of the holiday season and keeping them on task and on purpose. 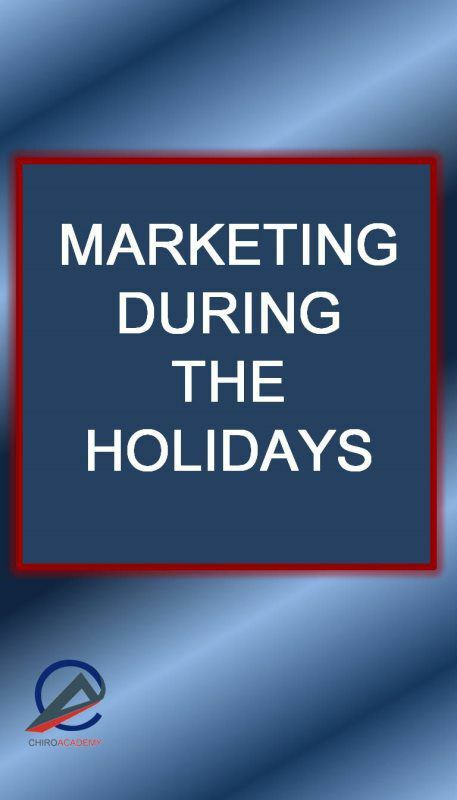 How to set up your marketing for the holiday season. 7 internal holiday marketing strategies. 7 external holiday marketing strategies. 4 reactivation tools specific for the holiday season. Key strategies for patient care in December to avoid dropout and missed visits. We want everyone to know the tools that have helped our doctors enjoy December as being their very best new patient month of the year. There are unique marketing strategies that only work in December. If you have found it difficult to schedule talks during the holiday season, we have the answer. 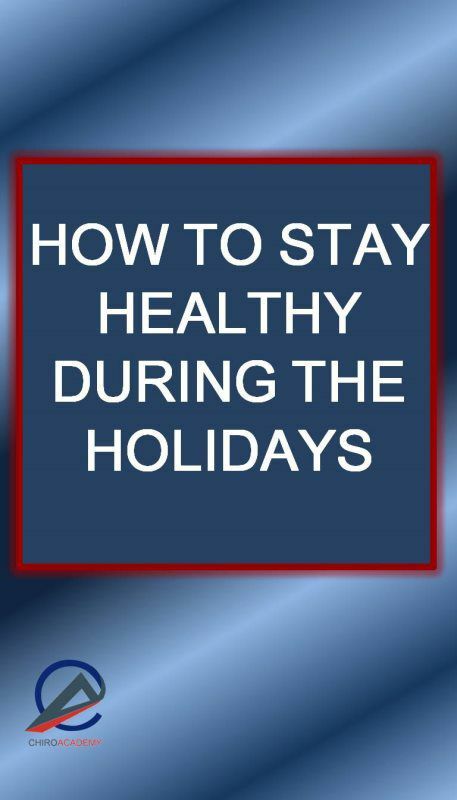 The "How to Stay Healthy During he Holidays" program will open doors in your community. A fun and effective chiropractic talk that is highly effective at attracting new patients. This is an external marketing program that can also be used internally with a great degree of effectiveness. We know marketing becomes difficult during the holiday season but this program makes is like pushing the easy button. A proven program with extraordinary results. Push the easy button to new patients during the holiday season.